A new national poll has shown ending global poverty and increasing aid will both be influential factors in terms of how people vote this election. This poll confirms the results of two other polls conducted over the same period in the Higgins and Sturt electorate. The poll by Community Engagement surveyed 861 voters between the 21st and the 23rd of June 2016 with a margin of error of 3.3 per cent and a confidence interval of 95 per cent. The findings indicate that across Australia, 58 per cent of people think Australia should be doing more to end global poverty (27 per cent say “much more”) and 54 per cent believe the government should increase aid funding to 70 cents per every $100 (23 per cent “strongly support” doing so). Additionally, the poll found increasing Australian aid could be a deciding election factor, with 9 per cent of unsure voters saying the party or candidate positions on aid will be “very influential” in terms of their vote, with 30 per cent saying it will be “somewhat influential”. Meanwhile, 36 per cent of Australians agree that increasing aid is more important than corporate tax cuts and 42 per cent agree that the Liberal Party should announce a policy of increasing aid before the election. “The Australian Labor Party, Nick Xenophon Team and the Australian Greens have all made election promises to increase aid. While many other countries are increasing their aid budgets to help collectively address global challenges, our government has cut aid by $11.3 billion. 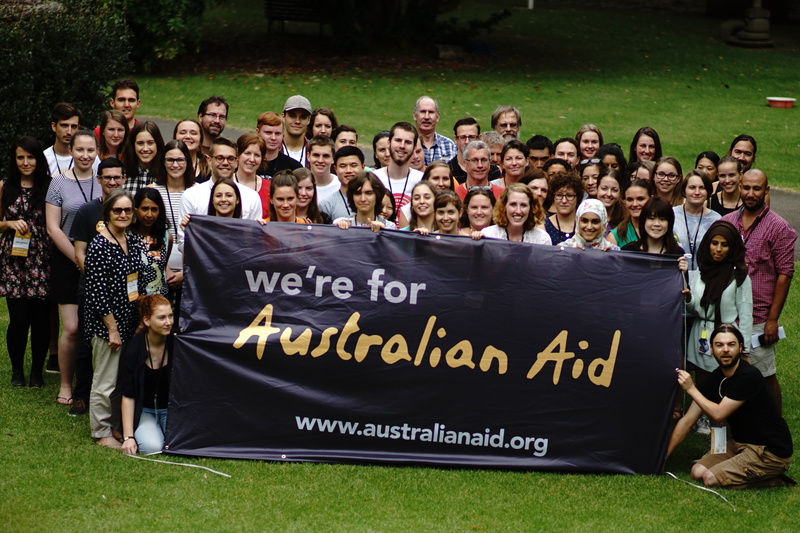 We’re calling on the Liberal Party to announce before the election that they will increase aid funding and do more to be part of solving global poverty and creating a fairer world for all,” said Tony Milne, Director of the Campaign for Australian Aid.